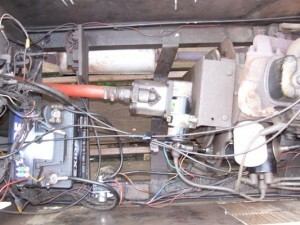 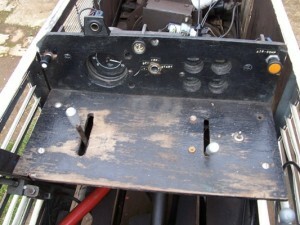 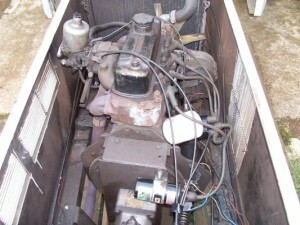 A complete petrol driven hydraulic system for a ten and a quarter locomotive, this comprises of a morris four cylinder petrol engine circa 1988, with alternator, radiator, hydraulic pump, with controls to motor on one bogie, hydraulic tank and fuel tank, twin horns and control panel which has a choke, handbrake, accelerator, a hydraulic forward and reverse lever most of these items are on a secondary chasis. 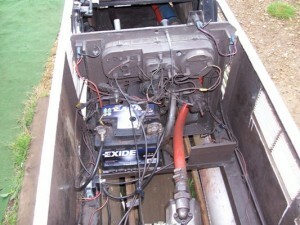 The price includes the two ten and a quarter bogies and can all be seen as a running unit. 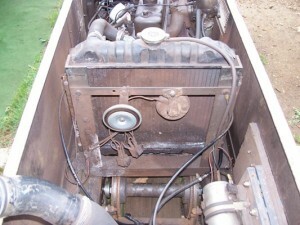 Price £4,000 for the whole lot, first person to see will buy.